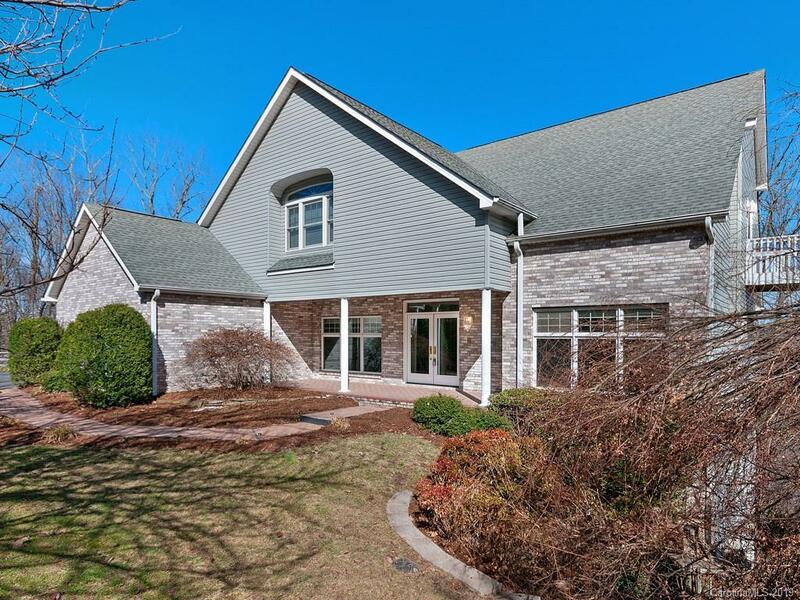 Nestled in Carriage Park, this gorgeous home boasts year-round mountain views, beautifully maintained landscape and is just minutes from downtown Hendersonville. Each room is surrounded by natural light and grand or pocket views of mountain views or greenery. The open kitchen is perfect for entertaining. Easy access to the main level master bedroom and large en-suite bath including a large soaking tub and stand-up shower. Enjoy grand mountain views from the great room while reading by the fireplace or while grilling out on the spacious back deck. The upstairs office includes a Juliet balcony and oak built-in bookshelves and an adorable guest bedroom with an en-suite bedroom with a balcony. Speaking of space there is a 2,258 sf of unfinished basement space with a lower driveway access. One can store multiple cars, finish the space for additional living space or a grand ole workshop. Come delight yourself in this special home!